The Ten Books on Architecture is the oldest surviving architectural treatise. 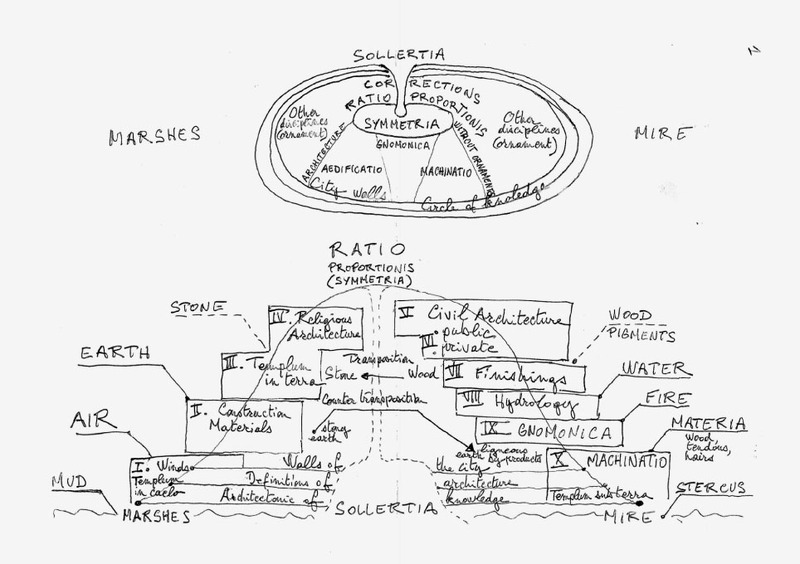 In this essay, Bernard Cache re­examines Vitruvius’s text, interpreting the work’s table of contents as a table of materials. On the basis of the structure of Vitruvius’s work, Cache develops a reading that reaches from amorphous materials to detailed building assembly. In so doing, Cache highlights the engineering feats of antiquity and outlines the mathematical knowledge required to calculate machines of war and sundials. Table of Contents of Vitruvius's De Architectura.